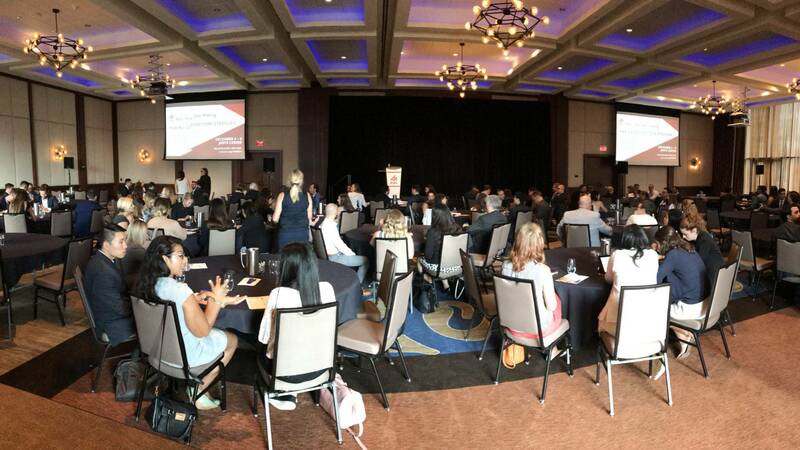 Some 200 young retail real estate executives came to Toronto last week for ICSC’s annual NextGen Conference. Among the highlights of this year’s event was the announcement of ICSC’s 4 Under 40, a group of rising stars chosen to represent the best of the industry’s young talent. This year’s honorees were Jay Drexler, national vice president of leasing, Oxford Properties Group; Jeff Preston, managing director, North American Development Group; Lee Schaffler, executive director, J.P. Morgan Asset Management; and Rachel Wein, founder and president, WeinPlus. Look for in-depth profiles of each of this year’s 4 Under 40 honorees in the September issue of SCT.